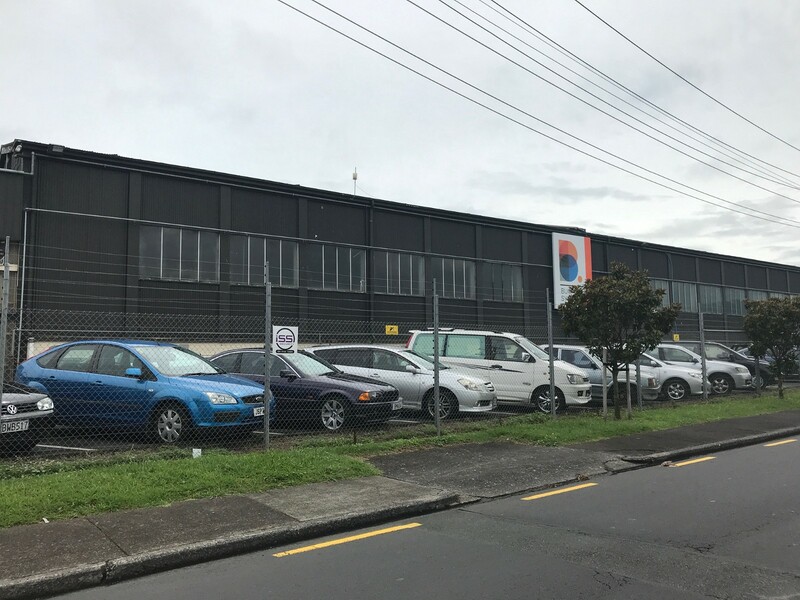 Who knew that in a plain building in South Auckland sits a quiet entrepreneur who owns a very high tech Boston company that is installing a sophisticated huge medical device in Finland? At the Morgo drinks at Callaghan Innovation a couple of weeks ago, we were delighted to have Bill Buckley turn up — especially since it had taken him two hours to get there from Mt Wellington in the heavy rain. And what a story he had to tell! But did you know that in 2015 Bill Buckley bought into a company in Boston that had developed a very powerful machine to produce sapphire wafers for making cellphone screens unscratchable? Unfortunately this had turned out to be a very limited market and the company went broke. Bill had known the company for a long time: he liked their technology but didn’t see a future in that market. Bill bought the assets of the company out of insolvency and formed a company called Neutron Therapeutics. Then he and the team at the company repurposed the machine into BNCT — boron neutron capture therapy for cancer treatment. Bill was comfortable with entering the medical device market because Buckley Systems builds many machines to medical device standards. BNCT. Boron Neutron Capture Therapy. The basic idea is that you give the patient boron first, which concentrates in tumours, and then you blast the tumour area with neutrons — which are captured by the boron. The absorption of the neutrons by the boron emits short-range high-energy particles which destroy the tumour. BNCT was already in use in Japan and Finland but with machines that put out other emissions with the neutrons — kind of a dirty beam. 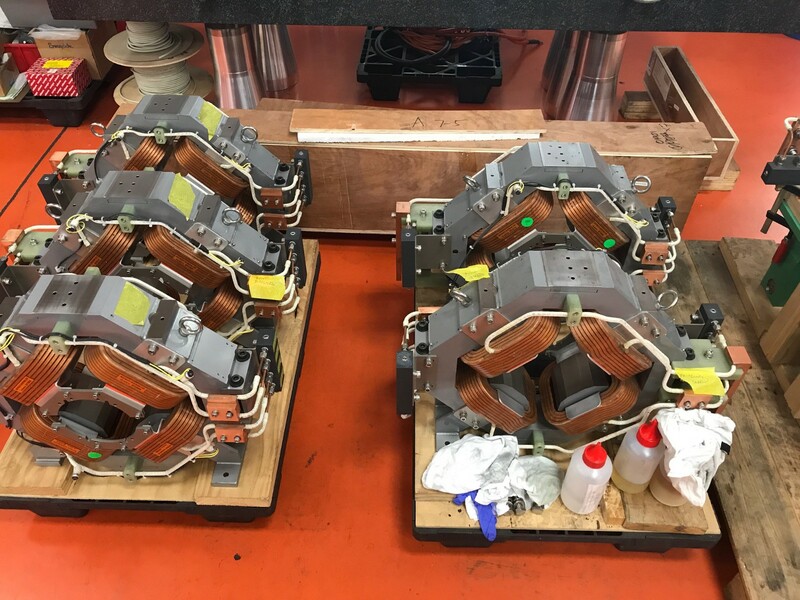 The new machine from Neutron Therapeutics puts out 2.6M volts at 30 micro amps and produces a strong stream of pure neutrons. Later in 2015, Helsinki University Hospital agreed to acquire Neutron Therapeutics’ first machine for installation in Helsinki, Finland. 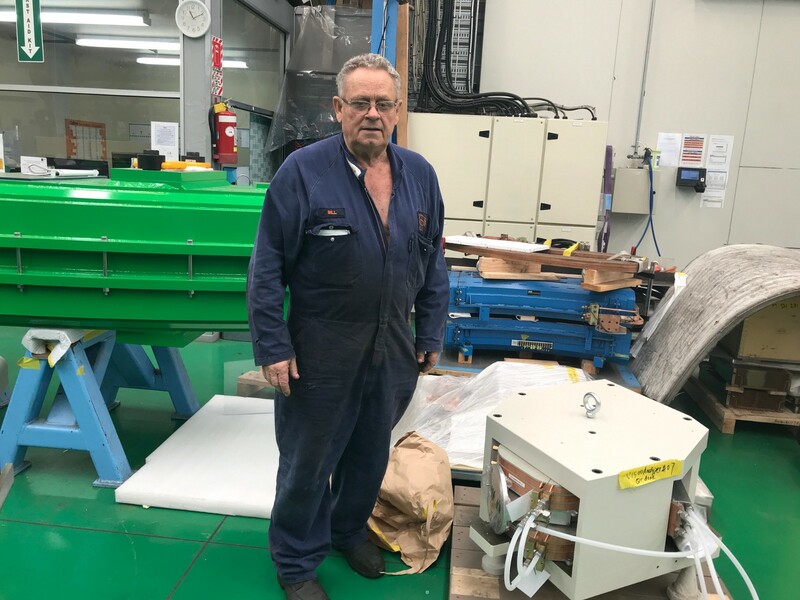 The machine has been built largely at Buckley Systems in Auckland and will be on its way to Finland shortly. After trials are complete, the first patient is expected to be treated in October this year. Visiting Bill Buckley in his playground at Buckley Systems is exciting. This is the guy who says he’s always loved BIG stuff. Well, plenty of big stuff going on out there: an accelerator for carbon therapy for shipping to Yokohama, another for proton therapy. There are 3 PhDs and 10 engineers at Buckley Systems but most of the staff of 320 are expert fitters and machinists engaged in the actual making of these high precision big machines. And for Neutron Therapeutics there are 20 people in Boston and 4 in Helsinki. Bill oversees this all from his low key office in Mt Wellington. Bill was at the very first Morgo 15 years ago! We look forward to seeing more of Bill at future Morgo events and hearing how his fantastic businesses are developing.